THANK YOU TO THE GOVERNMENT OF CANADA FOR LISTENING TO THIS POST AND ALL OF THE OTHER VOICES ASKING FOR EXEMPTION OF CBD! This year the government agreed and exempted CBD. As currently proposed, the Canadian Cannabis Excise Tax will create an excessive economic burden on many sick and disabled Canadians. In many cases, it will add an additional $1000 or year or more to the existing federal taxes. The stated rationale for this tax is that recreational users may claim to be medical users in order to avoid the excise tax on recreational marijuana. This rationale, however, cannot be appropriately applied to Cannabidiol (CBD) oil, because CBD is not psychotropic, and CBD oil has no potential for recreational use. Therefore, adding an excise tax to CBD oils that contain only small amounts of THC, serves no purpose other than to create an additional financial burden of sick and disabled Canadians. Exempt CBD oils that contain less than 3mg/ml of THC from the Canadian Cannabis Excise Tax. Taxing Low-THC CBD oils is unfair and unnecessary. Let the Canadian Department of Finance know what you think about the proposed excise tax. Feel free to quote or draw on any part of this blog post, if that is helpful. Also feel free to share this post with anyone who may be interested. Dr. Hsiao-Tuan Chao, one of the Jan and Dan Duncan Neurological Research Institute at Texas Children’s Hospital research team studying MECP2 duplication syndrome and related disorders, has been named as a 2017 STAT Wunderkind. This honor is awarded each year to recognize up-and-coming medical and biotechnology researchers whose careers are blossoming and are expected to be North America’s next generation of leading scientists. This year 27 “Wunderkinds” were selected for this honor out of more than 300 nominations. Research newly published in PNAS, Proceedings of the National Academy of Sciences, helps to clarify how the MeCP2 protein regulates genes, and may help provide an explanation of the role of MECP2-related disorders in autism. Researchers at Harvard University and the Washington University School of Medicine published their findings showing that MeCP2 plays a particular role in regulating very long genes in the brain. They found that MeCP2 reduced the activity of genes in proportion to the number of available sites for methylation. Therefore, the longer the gene, the greater the role of MECP2 in regulating the gene, and thus the very long genes in the brain are most sensitive to changes in levels of MeCP2. This is a great story from the Courier in Scotland. Gillian Bayford, a landlord who won the lottery, is sharing her good fortune. In addition to supporting the remodeling of his home to support Blake McMillan’s special needs, she is directing all the rent paid by Blake’s family to support research on MECP2 duplication syndrome, the condition which affects Blake. For more info, see the original story in the Courier. It is great to see creative ways that people are finding to support this cause. Researchers at Harvard University are suggesting a new theory of autism. They are raising the possibility that atypical neurological responses to touch can play an important role in developing symptoms of autism, and suggesting that abnormal levels of MeCP2 levels in cells that respond to touch can be critical to the development of symptoms of autism. for their discovery of the genes and the encoded proteins that recognize one chemical modification of the DNA of chromosomes that influences gene control as the basis of the developmental disorder Rett syndrome. We are extremely fortunate to have these outstanding researchers working on MECP2 related disorders. The Shaw prize is the latest in a long list of honors recognizing their contributions to the field. Several new studies provide encouraging results about the use of cannabidiol (CBD) oil to treat seizure disorders that are not controlled by other medications. Research also, however, points toward important cautions. Wojtal, D., Kemaladewi, D. U., Malam, Z., Abdullah, S., Wong, T. W., Hyatt, E., et al. (2016). Spell Checking Nature: Versatility of CRISPR/Cas9 for Developing Treatments for Inherited Disorders. American Journal of Human Genetics, 98(1), 90-101. 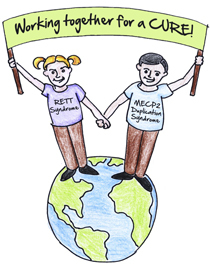 This blog is intended for families, researchers, and professionals interested in better lives for children and adults with MECP2 Duplication Syndrome. 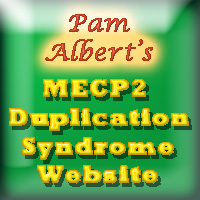 Pam Albert's MECP2 Duplication Syndrome Website provides a great deal of useful information for families and profiles of many of the current children and adults diagnosed with this condition. 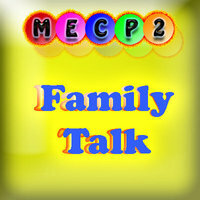 Facebook users who are members of families if individuals with MECP2 Duplication syndrome may wish to join the Facebook MECP2 Duplication Syndrome Family Talk Group for discussions of family matters. Visit the 401 Project or Donate.. Click image below. An expert panel reviewed 400 genetics blogs and selected the top 40. Happy to say this was selected as one of those 40.